Peru's entertaining team and their colourful army of joyous fans will be sorely missed at the World Cup after the South Americans fell victim to their old failing in front of goal. Despite having 52 per cent of possession against Denmark and 56 percent against France, Peru lost both games by a single goal after failing to turn their neat approach work into real chances. In the end, Peru's downfall was caused by the same age-old problem which kept them away from the World Cup for so long. The Andean nation has always produced naturally talented players and has a proud tradition of 'treating the ball well', as coach Ricardo Gareca puts it. But they are always a touch too many in front of goal, exasperating their followers who often quote the late Real Madrid great Alfredo Di Stefano to describe their team's performance: "We played better then ever, and lost as usual." 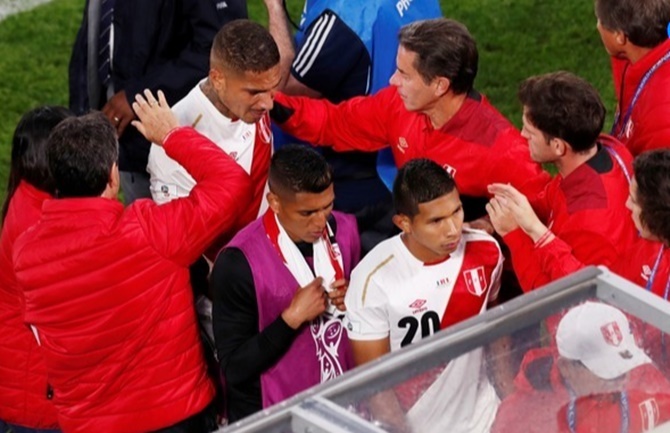 Peru's repeated failure to qualify for the World Cup created a vicious circle with more pressure on the team and a vociferous and sensationalist media adding to the tension with reports of players partying on the eve of important games. 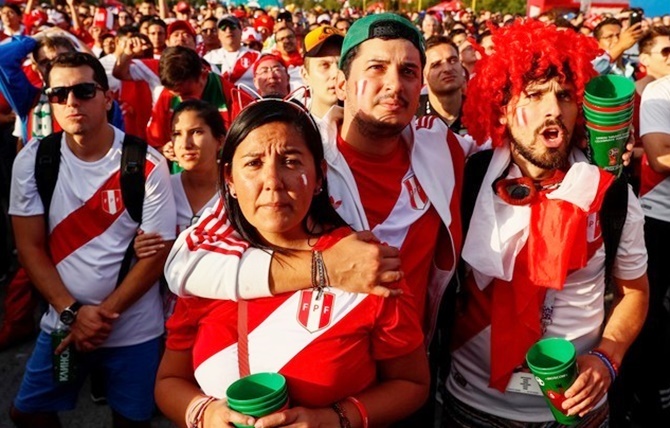 Peruvians lost pride in their team to the point where nobody wanted to buy their iconic shirt -- white with a red diagonal stripe -- which has become such a common sight on the streets of Russia. Only one member of the 23-man squad, Watford's Andre Carillo, is based with a club in the so-called big five European leagues. Four others are based in Europe -- in Russia, Denmark, the Netherlands, and Portugal -- with two in the United States while the others play in Mexico, Brazil, Colombia and Peru itself. Gareca said after Thursday's game that he saw a bright future. "There is a commitment of the directors of the federation and also of the country, at an institutional level," he said. "Peru needs to realise that it has enormous potential. This has been an incredible experience. Looking towards the future, Peru are a team which, if they receive the backing they need, can improve a great deal...This has made us stronger."